2014 Mitsubishi Outlander PHEV VRX – Car Review – Is It Just Better? Proudly pushed as the first ‘practical’ plug-in hybrid car, The Outlander looked like just the standard Outlander from the outside. I Road Tested the VRX Diesel back in May last year, here’s what I thought about it: 2013 Mitsubishi Outlander VRX. However taking the drivers seat inside the PHEV and starting her up sparked something instantly new. I have been looking forward to road testing this vehicle that claims a sprightly 1.9L/100km fuel efficiency. Finally, I thought, something other than a Prius that is practical, looks like a normal car and is accessible to the general market, and you can plug it in at home! And hence our road tested review has began with a bit of excitement. The electric motors sounded quite futuristic and the 2L petrol engine with humble 88kw power and 189Nm of torque is pleasant and quiet. Off the bat I wanted to check out the deal with the plug-in part of it. I had the Outlander charging overnight approximately 8 hours before I took it for a morning drive. According to EECA figures, my nights charging works out to $1.73 in total. A quick trip from Wellington City out to Lower Hutt and back used a full battery, something around 40km in total, when the battery is empty the petrol engine kicks in. Hybrid cars really are king for suburban and inner city driving. Long distance journeys I imagine would be interesting, where the fuel savings could get you quite far while not burning a hole in the pocket, but I fancy you won’t be getting there as quickly. The regenerative braking that helps charge the battery on the go has significant resistance, which you can feel whilst coasting. But the feeling of capturing that potential energy and using it whenever you want is amazing. Driving the PHEV almost became a competitive activity keeping the regeneration and use of acceleration within the green eco zone, saving petrol and with the satisfaction when you complete a trip using almost no gas. The engine also has a heavy idle mode (charge mode) that charges the PHEV battery. Funnily enough it reminded me of an old tractor banging away. 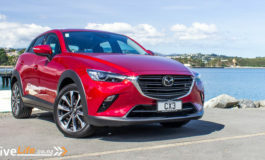 However the regenerative braking and engine idling can only regenerate a limited amount for the battery while on the go, and you won’t be able to completely top it up without stopping or recharging from a power outlet. This is a car where to get the most of its electric components it will definitely need to be charged daily. One thing to note about eco mode is that it is frustratingly slow to accelerate and this has its problems when trying to pull out into traffic during busy periods, don’t expect to make the quick gaps! The Outlander also comes standard with twin-motor 4WD which is just an electric motor for the front and rear axles. A great idea in theory but from what I found is slightly limited because of the fact that it is a hybrid vehicle. To maintain low fuel usage the vehicle has to properly maximise the economy of multiple systems, acceleration control, aerodynamics, braking, and rolling resistance, plus a multitude of others. But to get optimal economy from a tyre it needs to be low profile and have a smooth tread design. For any type of off-road performance these things are what most people try to avoid, maximum traction in difficult terrain is required with large chunky tyre lugs and plenty of rubber to create more contact with the surface you’re trying to drive up. I imagine the only use the PHEV would have for its 4WD system is wet slippery conditions and a little gravel back road. Like its predecessor, the new Outlander PHEVs adaptive cruise control is spot on and very simple to use and effective at maintaining following distances and adjusting accordingly. The interior is well designed and the ceiling has ample headroom for taller people, cargo capacity is spacious and well laid out, and the passenger space is reasonably comfortable. Drivers view is fantastic, being able to check out all the blind spots and out the rear window easily. Despite the spaciousness, the seats do not dwarf the petite and children. The seats have a good balance of adjustability and cushioning in the right places. Overall they have great posture support and make long distances relaxing, the wife even fell asleep promptly on one short drive. Loose items like keys and phones have options with plenty of cubby holes and various spaces to store all sorts. 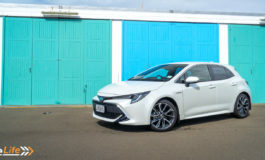 The PHEV is really in a class of its own at this stage, the Prius being a hatchback, is a quite different vehicle despite both being hybrids. And the only other SUV is the Lexus RX Hybrid which is in another galaxy in terms of price difference. comfortable interior, thought out and friendly design. flexible seating and storage options, good use of space. turning circle in tight spaces limiting. slow acceleration and driving performance. 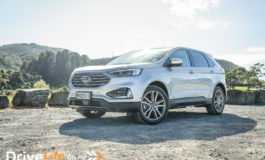 A fun economical car that offers all the space and on road posture as many other crossover SUVs in the market, but with the considerably more Earth friendly plug-in benefits. I feel that Mitsubishi have made the right move pushing into the small SUV sector offering what I’m sure a lot of people have been waiting for. On the other hand, is being a plug-in hybrid more eco friendly than a standard car or another hybrid with engine based charging? For example, the VRX diesel equivalent produces 6.4kgs of CO2 on a 40km trip (based on 162grams/km), and the Prius V puts out 3.8kgs on the same trip (96grams/km). The PHEV with its 44grams/km emissions rating combined with where your home power is sourced from when plugged in, whether that be wind, hydro, geothermal or even coal then is the final cost on the environment better or worse? That alone would be another article. Things I look forward to with the hybrids: longer driving time on battery only and faster charge times. Until then, with raising fuel prices and stricter emission standards the Outlander PHEV is moving things in the right direction. A side note is keep an eye out for 4WD manufacturers starting to integrating more hybrid technology into more capable off-roaders, such as what Land Rover are attempting with the Electric Defender. With a 80km range, there is some potential in it becoming feasible in the future.